Working, producing and trading goods and services, always has an impact on the society and on the environment. It influences directly the life of people who develop a product, who build it and deal with it, who use it and destroy it. Every man-made object interacts with many different people and makes people interact with each other. The quality of an object for me is defined by the quality of relations it invokes in its environment from sketch until disposal. In my work as designer and artisan this is the central question I investigate and play with. 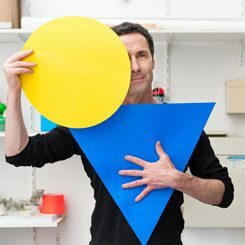 Apparently working with shapes, materials and colors, but in reality focused on the people who get in touch with them. Making installations in public spaces, workshops and working with different communities gives me a privileged point of view on this questions and gives me an immediate feedback on the value of my ideas. Carla Rangel has a multiple mexican-canadian identity. She spends her time as a designer for Constructlab, and loves to talk and work a lot. Marie-Philip is a graduate of DESS in Event Design and holds a Bachelor's Degree in Tourism Management from UQÀM. She is interested in the subject of living together, how collective initiatives succeed in animating places and making people happy. Last summer she was working with Pépinière | Collaborative spaces at the Pied-du-Courant Village. She is also part of the group Les Festives, creator of the Beach Tunnel. 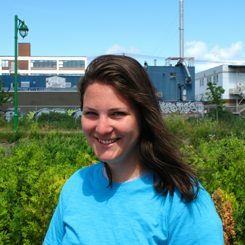 She will coordinate the Mont-Réel project's collaborative project within the ConstructLab team. 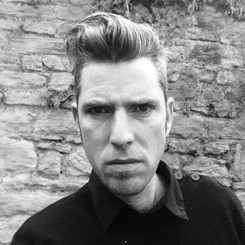 Greg Gilg, 42, cellist, double bass player, singer, composer. Multiply the musical adventures since 93 in solo and in group, on stage enormously and in studio sometimes. Animated by the quest for freedom and accuracy of intention in the background and in form, it evolved in song, rock, jazz, circus, theater, dance, audiovisual. Initiated to contemporary music and electro-acoustics, he is an experimentalist at the crossroads of popular, scholarly and experimental music. Since 2015, he has been experimenting with the sound of the choir and listening. In his creative approach, he also works in educational, social and medico-social contexts, as a composer, as an intervening musician, as a trainer. Member of the association De l'Aire and the European Center of the Vocal Game - Guy Reibel. Associated artist of the Apejs in Chambéry and artistic director of the festival the sound exchanger. 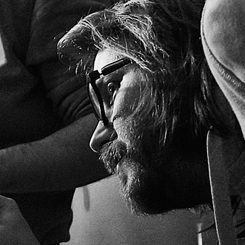 He has worked with Sébastien Barrier, Bertrand Belin, Mathieu Werchowsky, Arlt, Eric Beltràn, Fire Warriors, Yoan Durand, Nicolas Hubert, Lhasa de Sela, Surnatural Orchestra, Muriel Vernet, Deborah Walker, Alexandre Authelain, Sylvaine Hélary and Olivier Daviaud , Daniel Campbell, Here, Pierre Tallaron, Boris Boublil, Nicolas Gerber, Barbarins Fourchus. 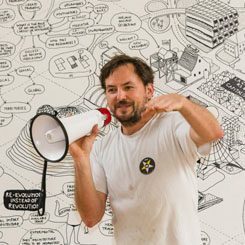 Graphic artist and visual artist, he animates a graphic workshop that explores all the fields of contemporary creation: theater, dance, music, cinema. His influences are manifold. He began his career with a formation in the tradition of the Bauhaus, before joining the Beaux-Arts in Paris and entering the Grapus workshop. Today, he continues his journey into the visual world with his graphic studio and Agrafmobile, a traveling visual theater to invest urban space and everyday territories. A space of experimentation between visual and sound creation, between gestures and signs. 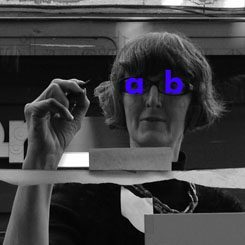 A trained graphic artist, she manipulates stationary and moving images, paper and space. Collaborates with scenographers for the exhibition and with Agrafmobile for follies and interventions in the public space. So, to make it simple, during the last few years, I worked on a show for young people in Burkina Faso where they made puppets by putting objects on old overhead projectors, co-organized a hop plantation in A peripheral district of Lille in France, brewed a dry ink beer in Hanoi in Vietnam, played the site supervisor for the installation of a large brewery in Saigon still in Vietnam, set up a clandestine hotel in a library of Campaign, recorded and mixed soundtracks in Belgium and now, apart from coming to Montreal to ferment everything that is possible to ferment, I planned to return to Africa to do electro-slam in the lanes of Bobo Dioulasso. 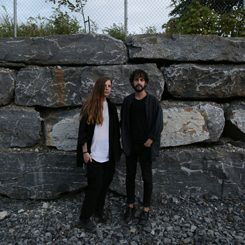 Jen Reimer (CAN) & Max Stein (USA) are sound artists based in Montréal. Their work explores the resonances and serendipities of urban and rural sonic environments through in-situ performances, installations and spatial recordings. Since 2008 they have created performances and installations in abandoned, transient and vast resonant spaces in Montréal and abroad including Wellington Tunnel, St Urbain Underpass, Bain St-Michel (Montréal), Mãe D’ Água (Lisboa, PT), Tunnel Bénedit-Jobin (Marseille, FR), Rotonda Besana (Milan IT), Vapaan Taiteen Tila (Helsinki, FI) and Sottopassaggio di Porta Vescovo (Verona, IT). Their performances combine live and processed horn and field recordings with the inherent sonic environment to create an immersive and physical experience of sound and space. They have collaborated with various festivals and organizations including Suoni per Il Popolo, HTMlles, Inaudibles, matralab, Laboratoire sur les récits du soi mobile, Pop Montréal (Montréal, QC), Audioparc & Galerie Verticale (Laval, QC), Send + Receive (Winnipeg, MB), Nes Artist Residency (Skagaströnd, IS), Summer We Go Public (Skagaströnd, IS), Eastern Bloc (Montréal, QC), Sound Development City (Lisbon, PT & Marseille, FR), Äänen Lumo (Helsinki, FI), Videosoundart Festival (Milan, IT), Art in Odd Places (New York, NY), Live Arts Cultures (Venice, IT), P A T H Festival (Verona, IT), MADAM (Milan, IT) and Les Digitales (Lausanne, CH). 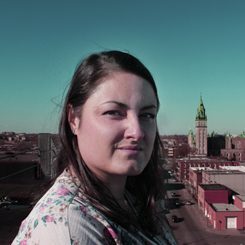 Mélanie Binette is a multidisciplinary artist, performer and researcher based in Montréal. 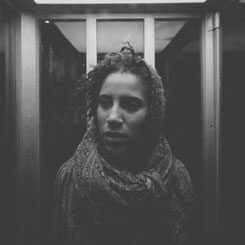 She is the co-founder and director of Théâtre Nulle Part, an in situ performance collective exploring the city as an imagined, practiced, contested, conquered and reconquered space. With this collective, she co-created performances in various sites, such as a vacant commercial space on Saint-Laurent boulevard, a post-industrial dead-end in Griffintown and Marché Bonsecours' public restrooms. In 2014, she graduated from Concordia's interdisciplinary "Individualized Program", her thesis investigating the political potential of spectatorship in immersive performances. 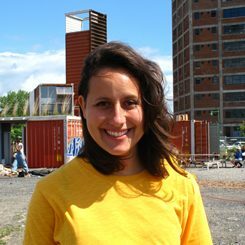 She has recently produced a sound installation in collaboration with the community of Chic Resto Pop, a charity in Hochelaga-Maisonneuve, and has presented at many conferences and events. Dina Cindric is a classically trained pianist, multi-instrumentalist, singer, teacher and founding director of the Monday Night Choir. Her interests and experience as a performer and teacher cross a broad range of musical genres. She has performed and recorded with a number of musicians and ensembles, including Annabelle Chvostek, Old Man Luedecke, Nadah el Shazly, Will Eizlini, Land Of Kush, Lake Of Stew, Mark Berube and The Patriotic Few, Jerusalem in My Heart, Deltron 3030, Concerto Della Donna, l'ensemble partiel, and Croatian folklore ensemble 'Dubrovnik'. As a choral director, her work is similarly multi-faceted. She is particularly interested in providing a space for expressive music-making that is accessible to all, focusing on a cappella singing as a means of bringing people together to learn, inspire and share. As musician and actress, Florence Blain Mbaye’s approach is to question the relationship between artistic disciplines. This is why, in addition to her training in music, she takes part to several dance and acting workshops, notably with the Grotowski Workcenter of Pontedera and LADMMI. Winner of several prizes at the provincial and national levels, she has performed in Europe, Asia and the United States at the Jeunesses Musicales World Orchestra. In 2007 she was admitted to the prestigious UBS Verbier Festival Orchestra where she toured around the world and pursued her training under the direction of Zubin Mehta, Charles Dutoit, Mikhail Pletnev, Sir Andrew Davis and Esa Pekka Salonen. Since 2008, she has performed with several ensembles and orchestras in Canada and abroad. In 2009, she obtained a masters in oboe and chamber music at the Conservatoire de Musique de Montréal. She also attends courses in electroacoustic composition. She went on stage with "Dans la cercle", a collective creation she initiated (dance-theater) produced by Tangente in the fall of 2012 at the Monument National. She played her first major role in the film "L'Autre maison" by Mathieu Roy, 2013. 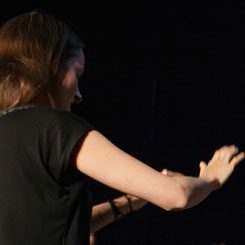 The cohabitation of these two artistic disciplines leads her to make sound design in theater and cinema as well as directing operas (Compagnie BOP, Les Voix d'Elles, 1 Opera 1 Hour). The artist ends her studies at the Conservatoire d’Art Dramatique de Montréal in the spring of 2014. In addition to pursuing her music career, she can now be seen regularly in theater, cinema and television.